but as soon as I put it up, I felt a little too risque leaving it there. Lol. Not quite me. I’m back. After a bumpy ride, we landed safely back in Salt Lake City last night. We had a great trip and I have much goodness to share. (Many thanks again for all the great tips!!) I kept myself entertained while my husband was in his conference (museum, twice to H & M, fabric scouting) and we had a good time together riding the Staten Island Ferry and walking the Brooklyn Bridge to get pizza at Grimaldi’s. And some of the hexies came along with us for the adventure. I must have had hexies on the brain because I spotted a bunch more in the city. 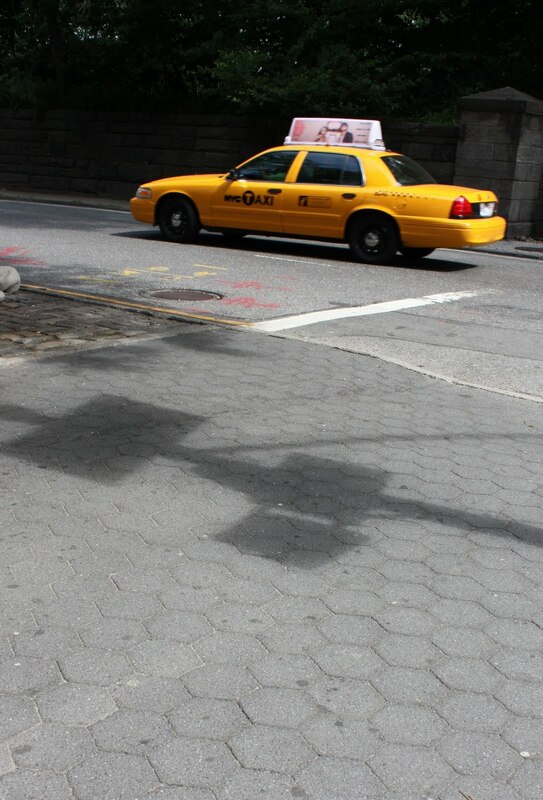 Did you know many New York sidewalks are made up of hexagons? Then I found this piece of modern art at the Met. This work is by Anish Kapoor. I wonder if Anish likes to quilt too? I didn’t get a picture of possibly my favorite hexies spotted in NYC. I saw a kid with perfect hexagons shaved into his hair so that his head looked like a soccer ball. (A bit of pre-World Cup excitement perhaps?) Anyway, we were on a crazy jam-packed subway train and I just didn’t have the guts to pull out my camera. And more hexies on the plane ride home. It’s good to be home. Last week was kind of nuts (hence the kind of random blog posts) getting ready to go – laundry, finally switching all the winter clothes out of the kids’ drawers, more laundry, signing up for swimming lessons, etc. I’m excited to just enjoy the regular summer madness now. I will be back with more this week after I catch up on the latest laundry and hang out with the kids. POST EDIT: I had no trouble taking my sewing with me on the plane. I brought a pair of blunt-nose kid scissors and a couple of needles. No issues whatsoever. I was nervous about a post that starts with &quot;Hex and the City!!! !&quot; Sounds like a fun trip!!! Your original post title showed up in my reader…but I knew it meant you&#39;d taken your hexies on your trip! Can&#39;t wait to see some of the fabric you might have found in the city! Awww. I thought Hex and the City was an AWESOME title for the post! Glad you had a good time! Sounds like a fun trip. I am going to New York in November – 2 eight hour flights on my own to meet up with my Mum and sister who are flying from Dublin. 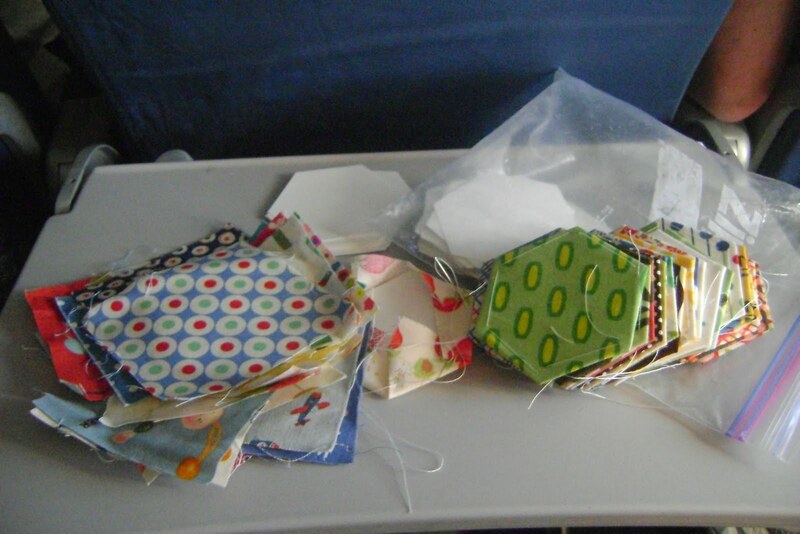 Were you able to take a needle on the plane to sew hexies and did anyone say anything about it? Hex in the City is funny. I knew what you meant. You noticing Hexagons everywhere is like when you get a new car and all of a sudden you see that type car everywhere. Glad you had a great trip. Amy ~ I loved your post and the title of Hex and the City was a great title for your post, because we are quilters and understand the lingo!<br />I adore all of those darling Hexagons that you are making. They are so cute they make me smile!<br />Thanks for sharing you pictures of New York wius us! So glad you had such a great time! 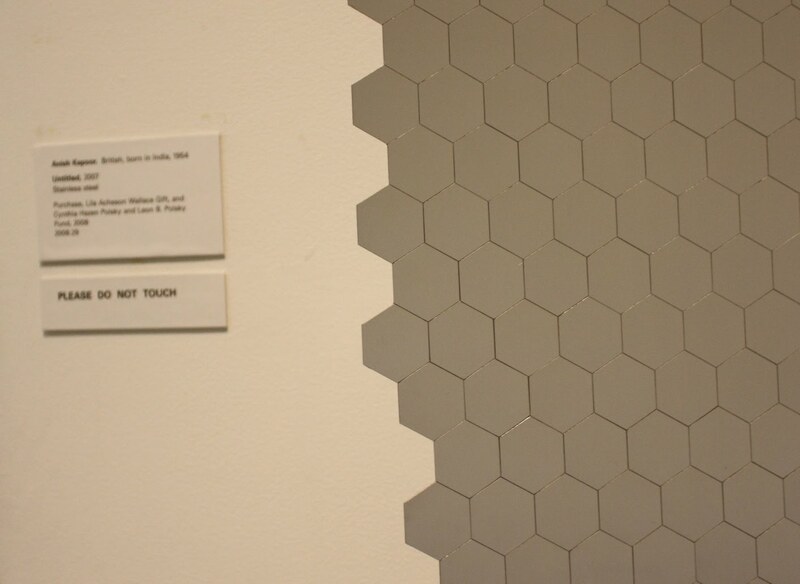 Fun to see all the hexagons you saw around NY. Looks like you can take sewing needles on the airplane? What did you use for scissors? Maybe after I get the low down from you I will be brave enough to take hand sewing on the plane. He he he . . . &quot;Hex and the City&quot; would have been funny 🙂 Glad you had a good time! The only time I&#39;ve ever been to NYC I was pregnant with all-day sickness and major food aversions. I think I need a do-over! Hope you had some great food and found some great fabric shops too! I&#39;m glad that even though you didn&#39;t leave the title you still shared your wry cleverness. I liked it 🙂 I don&#39;t think any of your readers would have thought you would have made a risque entry to go with the title, either!.. Unless, of course, they thought it was a typo, lol. Home..Sweet..Home! There is nothing like it.<br /><br />BTW-I love HEX in the City. So glad you had lots of fun on your trip. Walking across Brooklyn Bridge is still on my list of must dos. Now that you are back we definitely need to get together, especially since baby girl will be arriving in 3 weeks! Can&#39;t wait to hear about your trip! I love the original title! (too funny! ), and yet I understand why you didn&#39;t want it out there for every strange person to link to.<br />What a great post to show hexagons all over NY. Very entertaining. I love the post — and I love the title! I know what you mean about noticing whatever you&#39;re working on … strange how that happens! Glad you had a good trip! 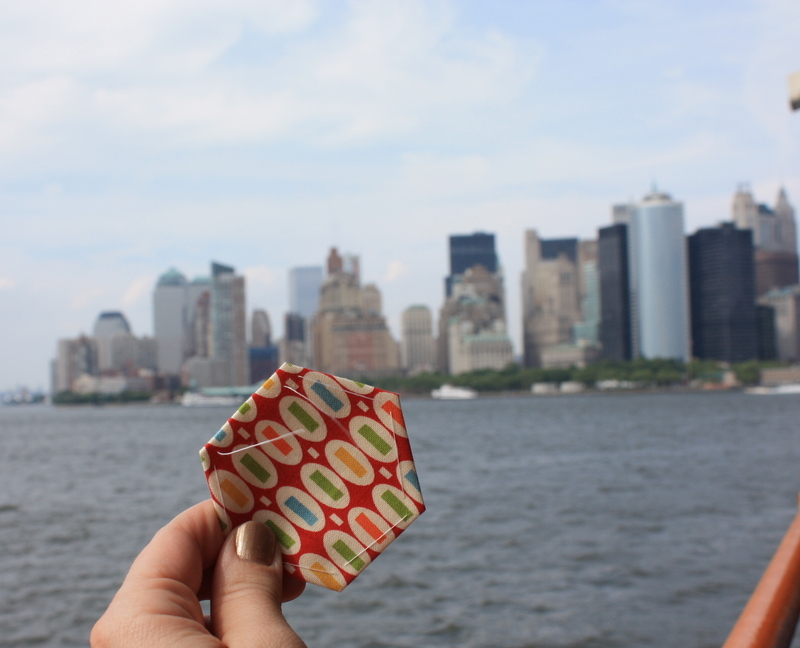 Glad you shared &quot;hex in the city&quot; and the pictures of all the hexies were amazing! <br /><br />Glad you had a great time. Glad you are back. That was cute and very humorous!! !